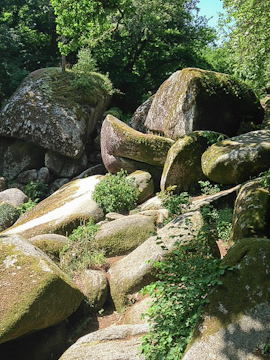 In the interior of Finistère, Brittany, about 20 miles south of Morlaix and hidden in the Parc d’Armorique, you will find the small town of Huelgoat and its bizarre landscape. 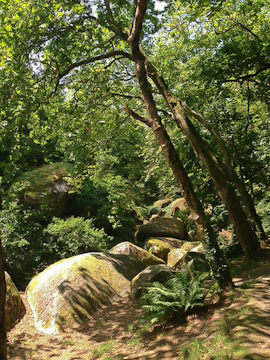 Hundreds of huge, moss-covered boulders cover the floor of the Huelgoat’s forest, just outside the town center. 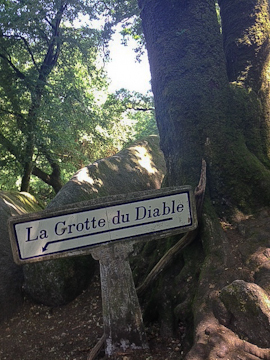 A number of well-marked paths allow you to explore the area–whether you are out for a quick stroll or looking for a longer hike. 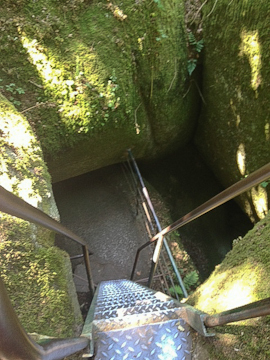 Ladders and railings also help you to explore caves such as the Devil’s Cave and descend to the stream that has formed the valley, the Rivière d’Argent. 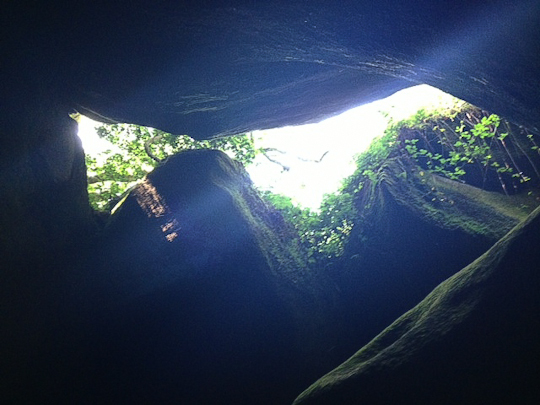 Celtic legend has it that the giant Gargantua once visited Huelgoat. He was hungry, but not given enough to eat. Angry, he left Huelgoat and walked towards the coast. 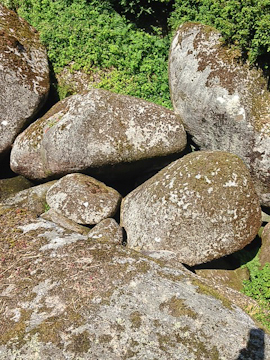 When he arrived, he plucked boulders from the sea and threw them towards Huelgoat. 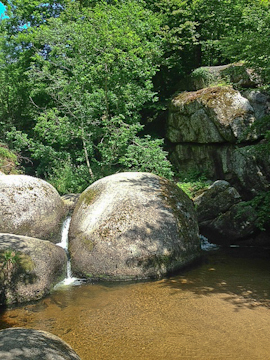 These are the gigantic boulders we see today. 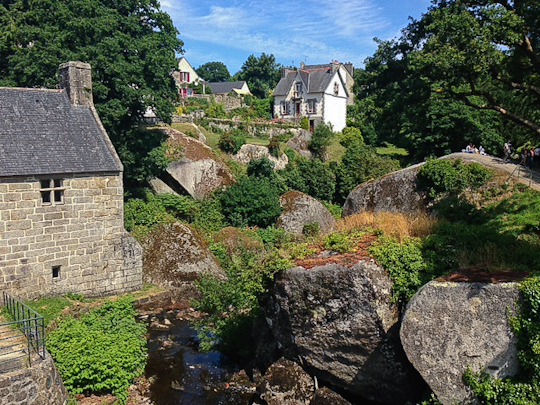 You can learn more about Huelgoat, including practical information on how to get there and where to stay, from the official Brittany Tourism site.